Imagine a field of lovely flowers next to a seaside town. 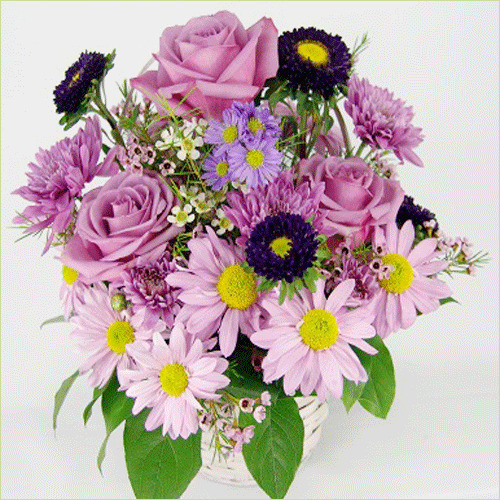 Lavender Roses and Daisies lend this feeling to this piece. Monte Casino and matsumoto aster finish the piece off with a flourish. Standard Basket includes 12 stems. Deluxe Basket includes 15 stems. Premium Basket includes 18 stems.